It is a silent, unanswered question we ask ourselves in the middle of the night while our brain rattles with thoughts. How can I make a difference when daily interactions with family, friends, co-workers, and strangers are fraught with divisiveness and hate? How can I make a difference with all the problems in the world? How can I make a difference when the person who needs to change the most is me? “Making a difference,” however you define it, is possible. But it starts with you. Or, in the case of my friend, Jennifer Smith, it started with a conversation about light bulbs. 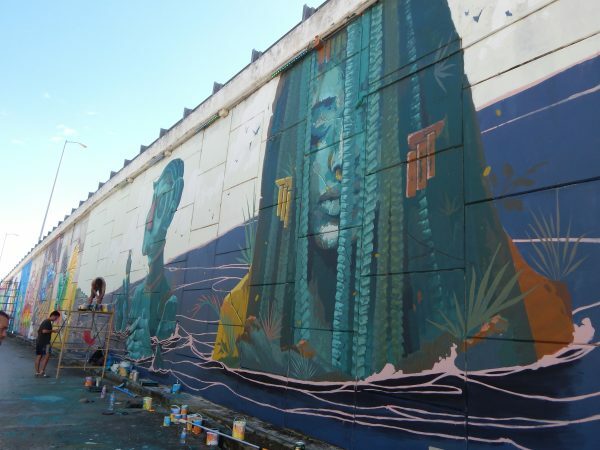 I was initially skeptical when Jen told me she wanted to recruit a group of street artists and muralists to paint a local bridge as part of a three-day arts festival she wanted to establish in Akumal, Mexico, where we live. I didn’t doubt Jen’s ability to deliver. She vibrates with the right kind of manic determination and grit necessary to emigrate to a new country, start and sustain five successful businesses, employ 40 people, and organize ongoing animal rescue efforts while maintaining an immaculate manicure. 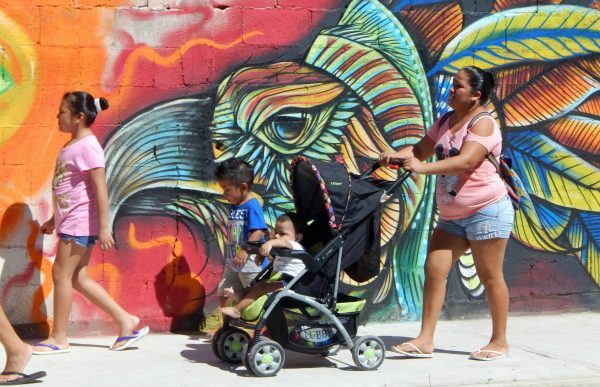 However, we lived in a divided community – one in which ex-pats and foreigners live on the beach side while the Mexicans who work in the restaurants, shops, and million-dollar, beachfront homes they own live in the Pueblo. I doubted whether the beach residents cared about what happened in the pueblo and whether the pueblo wished to be “invaded” with visitors. The bridge was another matter. 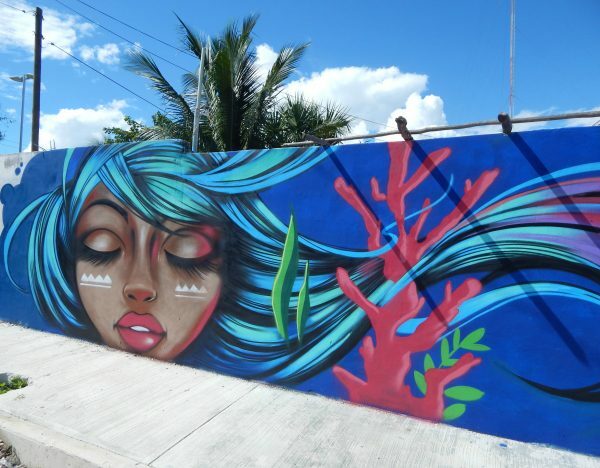 It spanned the highway connecting the beach and pueblo sides of Akumal and symbolized the economic, cultural, and linguistic differences that separated us. Unlit, at night, the bridge and surrounding area have become dangerous for pedestrians. Jen and other community leaders financed the purchase and installation of lights for the bridge and surrounding areas. But electricity was power in Mexico and there wasn’t enough political and economic juice in Akumal to keep the lights on. “What if we had an arts festival and brought artists from around the world to paint murals on the bridge and in the pueblo,” Jen suggested at a meeting with town officials to discuss the recent deaths of pedestrians at the wheel of drivers who couldn’t see the road over the bridge. A gaggle of mostly-white, slightly-confused, artists, tourists, journalists, photographers, and ex-pats walked across the Akumal Bridge at close to sunset. Minutes before, we sat in a circle around a caldron of fire as Sofia, a Mexican spiritual teacher guided us through a traditional Mayan ceremony to mark the opening of the Akumal Arts Festival. We offered our intentions and prayers for a successful and healing event before walking to the second part of the opening ceremony in the Akumal Pueblo. Cars, busses, and exhaust fumes whizzed by on the highway below. A silent, powerful force startled us as we crested the hill, the site of many road accidents. Modern descendants of Mayan warriors with skin painted in ochre, turquoise, black, and mustard yellow and elaborate headdresses of feathers and shells blocked our path. Juan Manuel Perez Silva, the leader of the Mayan delegation, greeted us and accepted our offering of love, art, and creativity on behalf of his ancestors and the people of the Akumal pueblo. After a brief ritual honoring Mother Earth and Father Sky, we walked across the bridge together. 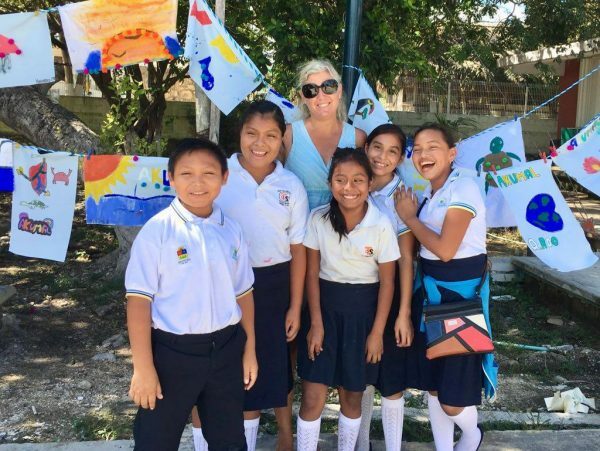 A group of local children, who spent weeks painting flags that would be displayed as part of the Arts Festival, met us at the foot of the bridge, as we continued our procession into the town square to mark the beginning of the event. Speeches from Juan, Jen, and town and state officials welcoming the artists and townspeople followed. Darkness became light. 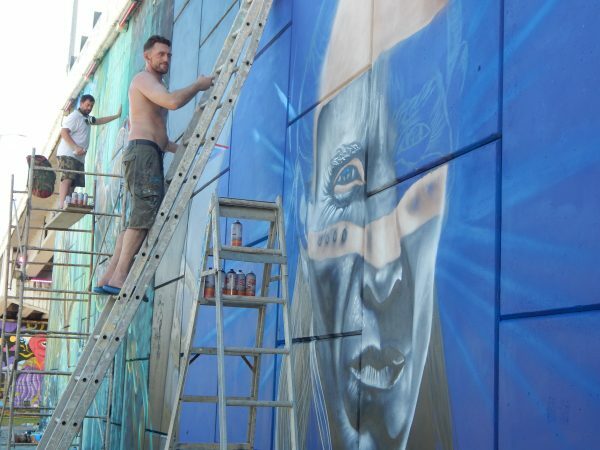 For the next several days, street artists from Mexico and around the world worked together in temperatures that soared above 85 degrees in November to transform gray walls on the bridge and in the pueblo into vibrant, poignant, works of art. Restaurants and shops in the pueblo that sat empty were now brimming with artists and visitors. Dusty streets strewn with trash and hopelessness were clean with possibilities. Commuters who hurried home to avoid the dangers of the dark lingered during their walk home, marveling at the new murals. 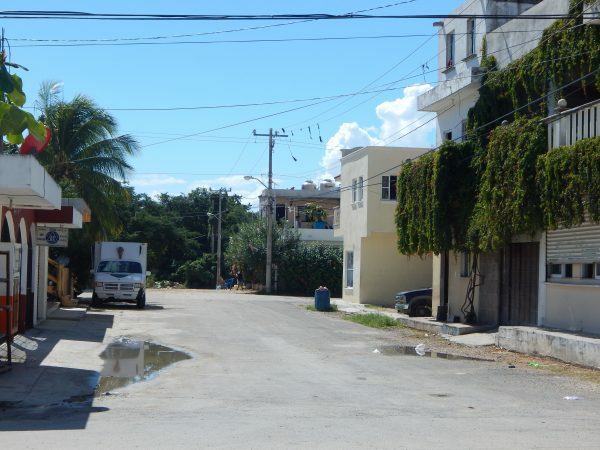 Beach residents strolled through a part of town they once ignored or rushed through. This is not a story of a white woman who used her “privilege” to improve the lives of the “less fortunate.” It is a story of a person who activated her strengths, resources, and huge heart and encouraged others to do the same by her example. Art transformed our community because one person, Jen, believed it could, and that has made all the difference. All other photos courtesy of the author.